Crew and I stayed at Ca’Sagredo when we went to Venice in May. 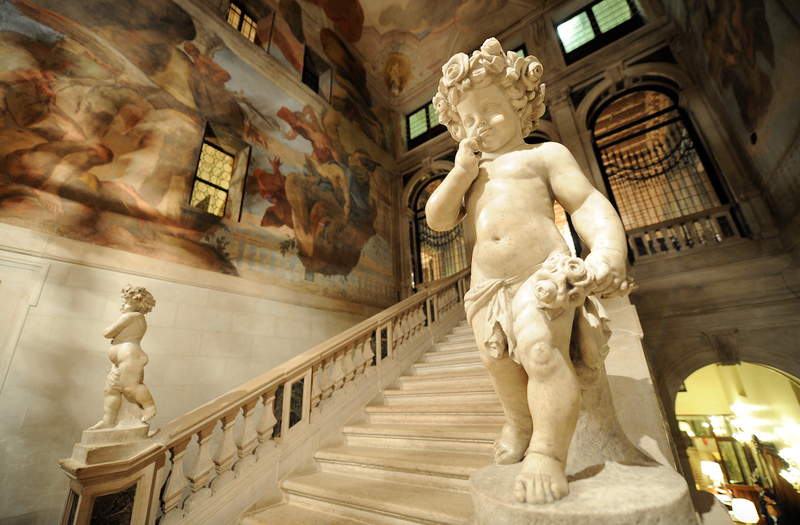 The Ca’Sagredo is not just a hotel but much more, it’s a historical Palazzo, a national monument and a museum, it’s a total charmer! I’ve been to Venice numerous times but this trip felt the most authentically Venetian with the hotel sitting against the breathtaking backdrop of Venice. 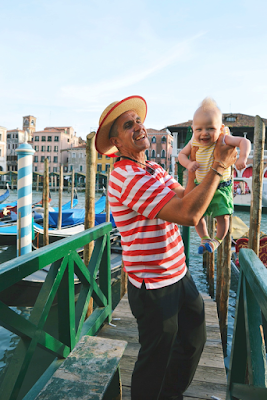 I love seeing the sea green and turquoise waters from the windows, hearing the church bells ring on the hour, watching the gondoliers pick up their guests, seeing the vaparettos zoom tourists across the picturesque scape, seeing the blue and white striped poles marking a gondolier stop and so much more. The Ca’Sagredo hotel lies majestically on the banks of the Grand Canal near the Rialto Bridge, the 15th century Palace has been declared a National Monument and still preserves the untouched beauty of an ancient noble residence. 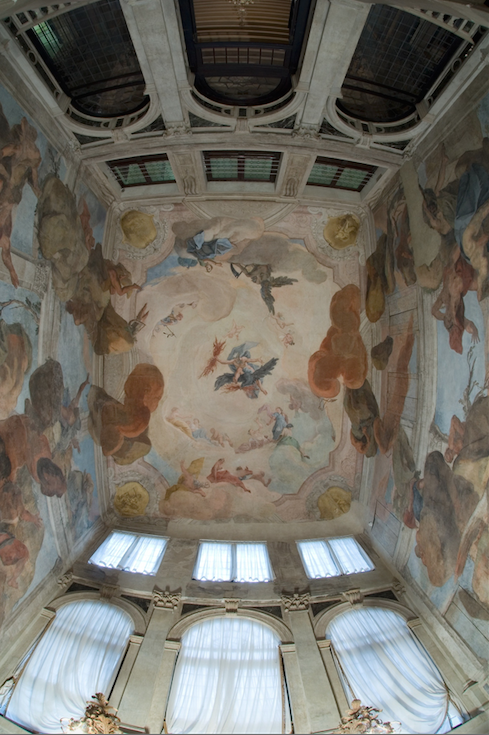 Ca’Sagredo hosts 42 bedrooms and suites and preserves signs of a glorious past and superb masterpieces by important 17th and 18th century Venetian artists. 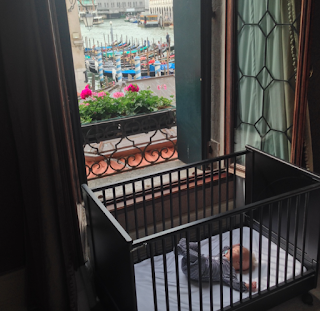 Our room was on the grand canal, I loved the view and so did Crew. 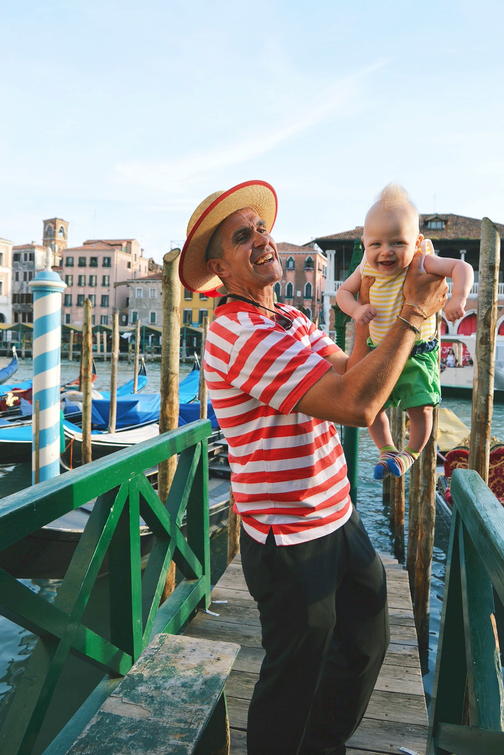 It was so perfect because although we couldn't be out and about the whole time with having an infant in arms, we were still right in the heart of Venice even while being in our room. We just opened up our windows and let the Venetian breeze, sounds and smells in. 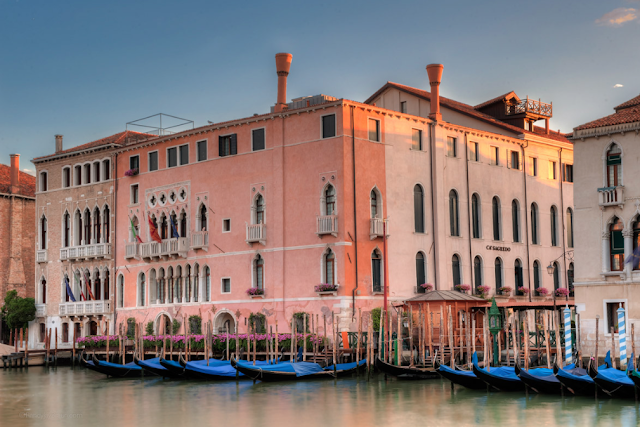 The beautiful interiors look onto the glorious water front and the Rialto Market right opposite. The breakfast was in a beautiful room outside of the hotel’s gallery that boasts famous paintings. The service was superb, the atmosphere was calming and everyone we came in contact with was so kind, spoke English, were courteous and especially extra helpful with having Crew with me. 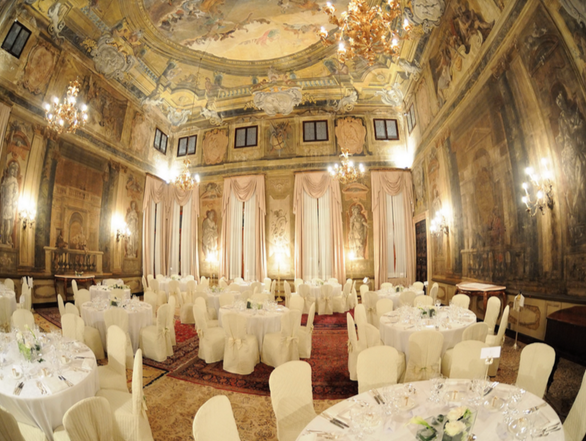 I loved the banquet room with it's cascading rose pink draperies (which match the pink rose glass street lamps that dot Venice), I loved the gold gilded chandeliers, the oversized antique rugs, wall murals, sconces, marble staircases, statues, grand entrance, restaurant on the canal and so much more. 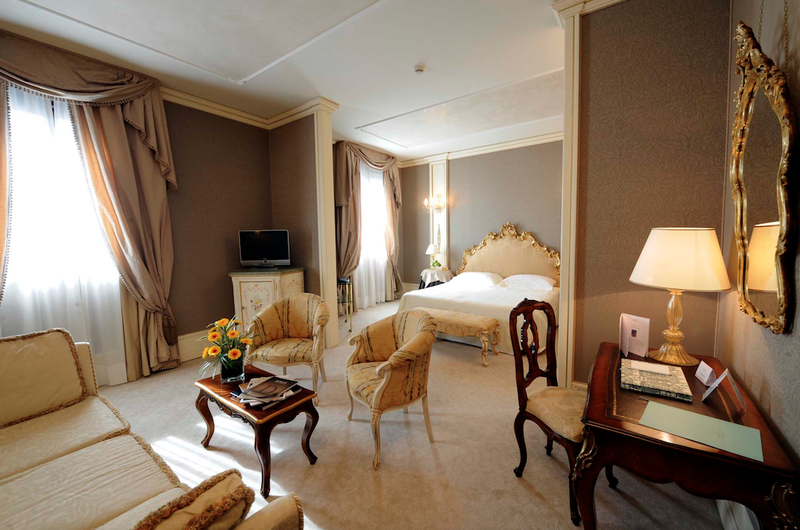 This hotel had every charm possible and it was by far one of the greatest hotels I have ever stayed in. I can't wait to go back with Tyson next time!